A decade ago, almost to the very day, on Sunday 11th February at the 2007 India Junior and Cadet Open in New Delhi, Sanil Shetty reached the semi-final stage of the Junior Boys’ Singles event. 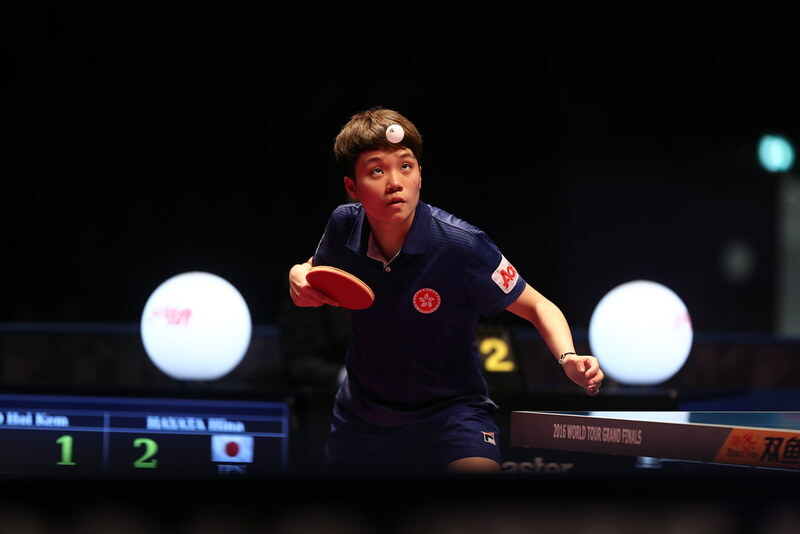 The effort was well received and applauded by his supporters but it did not in any way match the performance in the same city, on Tuesday 14th February, on the opening day of the qualification tournament for the Seamaster 2017 ITTF World Tour India Open. Currently listed at no.265 on the Men’s World Rankings, now 27 years old, he caused the biggest upset of the day and arguably the biggest upset of the year in his second Men’s Singles encounter. After accounting for colleague Ronit Bhanja in four straight games (11-8, 11-7, 11-6, 11-8), he overcame the Czech Republic’s Lubomir Jancarik, named at no.94 in the global order; not only did he win, he prevailed in a most dramatic seven games full distance duel (12-14, 12-10, 8-11, 11-4, 8-11, 12-10, 16-14). A surprise win for Sanil Shetty and there was one more that perhaps when somewhat unnoticed. England’s Sam Walker, after beating Saudi Arabia’s Abdulaziz Bu Shulaybi in six games (11-7, 11-3, 11-13, 10-12, 11-3, 11-6), overcame Frenchman, Abdel-Kader Salifou by a similar margin (11-2, 7-11, 4-11, 11-4, 11-9, 11-3). On the current Men’s World Rankings, Sam Walker is named at no.142, Abdel-Kader Salifou at no.130. Furthermore, in 2013, on the ITTF World Tour, Abdel-Kader Salifou won three Men’s Singles titles; he emerged successful in Croatia, Egypt and Morocco. Surprises of varying degrees but in the remaining nine groups, the leading names on duty all experienced a highly successful opening day but it was not without some nervous moments. The host nation’s Soumyajit Ghosh, listed at no.82 on the current Men’s World Rankings, needed the full seven games to overcome Saudi Arabia’s Ali Alhadrawi (6-11, 9-11, 11-6, 12-14, 11-5, 11-6, 11-8) named at no.327; likewise Frenchman Quentin Robinot was extended the full distance by Amalraj Anthony (8-11, 11-3, 11-8, 8-11, 10-12, 11-9, 11-4), like Soumyajit Ghosh from India. However, the end result was positive; it was a day without defeat for Soumyajit Ghosh and Quentin Robinot. Likewise, Quentin Robinot’s colleague, Can Akkuzu ended the day unbeaten as did Harmeet Desai and Sathiyan Gnanasekaran, both compatriots of Soumyajit Ghosh. Also, as status advised, unbeaten opening day performances were recorded by Portugal’s João Geraldo, Hong Kong’s Jiang Tianyi and Spain Alvaro Robles.